***Disclosure: I received one or more of the products mentioned in this post for free. Regardless, I only recommend products or services I use personally and believe will be good for my readers. As a parent I want to find products to use in my household that are not only safe for my family, but also the environment! After all we need to take good care of our earth for our children and grandchildren to grow up in! I was recently given the opportunity to try The Ology line of household products, distributed by Walgreens. Ology uses No harmful chemicals, dyes, or artificial fragrances. you will not find any of these Harmful chemicals in Ology products. I was already sold on the products by the lack of harmful chemicals, and then I put it to use! The Ology products I used worked just as great if not better than other leading brands that DO contain all those crazy big words! From the All purpose cleaner that is citrus based with the scent of lemon and lavender, which contains no dyes or harsh solvents, does not test on animals, and has a bottle made from 100% post consumer materials. To the Ultra absorbent 100% tree free paper towels. Yes I said tree free! Traditional paper towels are made from trees that take up to 35 years to replace. Ology biodegradable paper towels are made from readily renewable sugarcane husk that would otherwise be disposed, and quick- growing bamboo that regenerates in as little as six months!! I will admit the paper towels are not as thick as a traditional paper towel, but seem to hold up fine while cleaning. As far as using them for a napkin at the dinner table, they are extremely soft and feel great on the skin! I also tried out the Ology 2x laundry liquid. This laundry soap is plant based, HE and conventional machine compatible, and is also free and clear of ANY harmful chemicals. This laundry liquid is safe to use on delicates, woolens, and regular washings. It is gentle on your clothes as well as your skin! So if you believe in living life well and making positive choices that will greatly impact your children future, it's all about leaving behind a healthier, happier world and that starts with OLOGY products exclusively at Walgreens! Being a mommy and lover of our earth, I recommend you check out these wonderful products! With our first child we would take her tent camping and each time we would notice more and more things we needed. 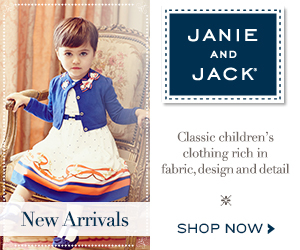 Blankets, lovies, toys, warm clothes, cool clothes, PJ's, potty chairs, sunscreen, hats, more toys...you get the point! Our second child came along and we started staying in more hotels, because our vehicle could not hold all the camping gear and necessities of two young girls. Third child came and we purchased a toy hauler trailer. Don't get me started on camping in a toy hauler! Because now you have all your camping gear and necessities plus adult toys and all the gear you need for those! Our kids are a little older now and unfortunately their idea of fun is staring at their Ipad for twelve hours straight. YouTube, Facebook, Instagram, video games. 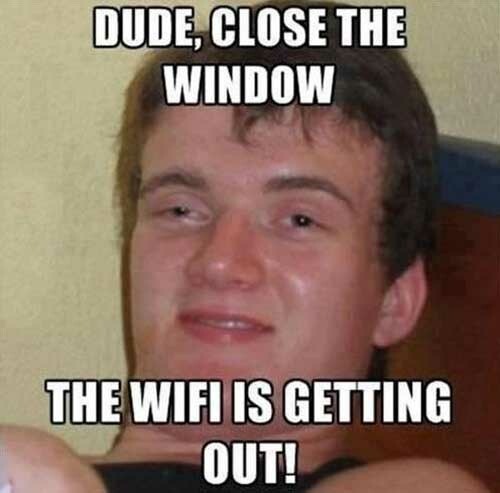 Time to get them out of the house and away from the Internet! ~I was excited to pitch a big family size tent and all of us have a big family sleepover! It then came to my realization this was not going to happen. My husband and kids thought it would be cooler to have two tents, a kid tent and a grown up tent. ~They then decided they all needed padding AKA blow up mattresses for comfort. ~ It will be dark at night so we better get little lights for the inside of the tents! ~We will bring sleeping bags to lay on top of their air mattresses, and then each of their favorite pillows, blankets, and stuffed animals. ~Now that there won't be any Internet what in the world will they do?? We got coloring books, water balloons, water guns, books. ~ We plan on fishing so we have five fishing poles, a few tackles boxes, and a net. ~ It IS Fourth of July so we can't go camping without, Americana outfits, accessories, decorations, sparklers, and fireworks! ~five chairs for watching fireworks and a big picnic sized blanket! ~two coolers. One for drinks and one for food. ~bathing suits! beach towels! sun hats and sunscreen. ~Children's Claritin, inhalers, Motrin, and Adult allergy medicine, motion sickness bands, and a bucket. ~five suitcases with our clothing, toiletries! and extra shoes. ~jackets for when the sun goes down. ~and my camera! Wouldn't want to miss a good Kodak moment! Now I'm sure this will not be my entire list and I'm sure I WILL forget something super important, but we will survive! So if you get behind a white minivan driving slowly up the mountain looking like something out of the Beverly Hillbillies honk and wave, because it's probably me! I awoke around 5 A.M. It was A Saturday. My nurses were switching shifts and I was about to meet the most wonderful nurse in the world! She would be with me all day. Upon meeting Christine for the first time she introduced herself, offered her condolences, then went on to share her own story. Christine is a mama of six. Her last baby just a year previous was born a child of demise at 24 weeks. Christine knew all too well what I was going through and admitted that she would lose her professionalism at points and cry with me. Her bed side manner was to not be compared with anyone I've ever come across...she was a blessing from above and I hope one day she will know what an impact she had on my life! Every eight hours I was to be given more contraction medicine to induce labor. I was due for more medicine at 6:30! I had so many questions. I still couldn't believe I was in the hospital to deliver my baby. I was filled with so much disbelief and sadness I didn't even know how to act. Outside hospital room 231 there was a card placed near the door. 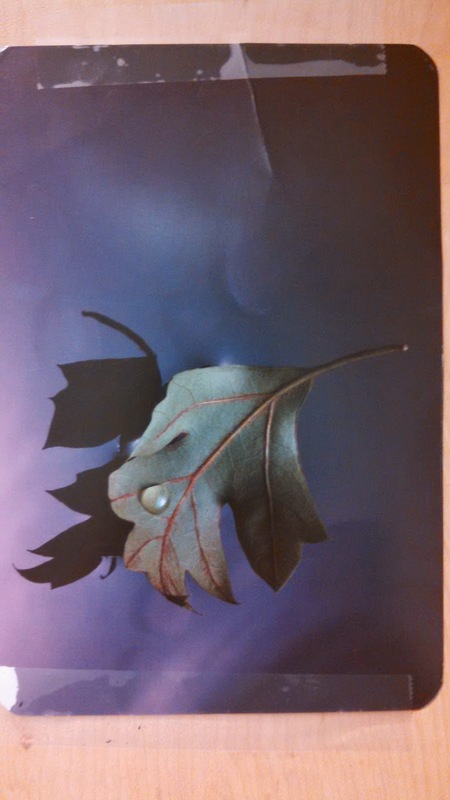 This card was to inform any staff entering the room that the patient had endured a loss. Every time house keeping, food service, lab technician, nurses, or doctors entered their faces showed heart break. This was always a sad reminder of why I was there. I was given another dose of my medicine to speed up labor and then was advised to order some breakfast so they could then give me medication for pain. I ordered my hospital cafeteria breakfast that was just that...hospital cafeteria food. Each bite was more and more difficult to swallow with the huge lump that had taken residence in my throat from the previous day forward. Once I finished eating I called my husband to find out the status of when he was going to be able to join me. I found out he would be joining me soon, his mom was almost in town to care for our other children. As I sat in my room the nurses would come and communicate with me about my wishes. "Do you want to hold your baby when it comes out?" "Will there be anyone here with you?" " do you have a funeral home picked out?" In Arizona the state law requires babies born at or after 20 weeks and weighing x amount of weight it's the parents responsibility to take care of burial. "Do you want a baptism performed?" I didn't have the answers! I had no idea what to say...I really did not know! I felt alone and being alone with your thoughts is sometimes too much to bear. I have never been someone who was a fan of pills or medication and the feeling they give your body. In this situation, I just wanted to escape this cruel world and sleep as much as possible. Living and thinking was too difficult. I pushed the nurse button on my bed and told her I needed something for pain...I was not in pain. I just wanted out! Out of the situation I was in, out of my own thoughts, out of the questions that were playing merry go round in my brain, I just wanted to sleep and escape from it all! I awoke with the creak of my hospital room door. As I looked across the room my heart became warm. My husband had made it! I wanted to jump out of my bed and hold onto him and never let go! He has always been my rock, my support, my best friend, and my love for over 21 years. He is what I was going to need to get through this! I immediately gave him all the updates of what had been happening. We shared our concerns, our questions, and tried to wrap our heads around all the events of the last 24 hours. It was nearing dinner time so my husband decided to go get something to eat and drop off some dinner for his mom and our other children back home. I told him he better go now before anything happens. After he left I was introduced to my overnight nurse and I said goodbye to Christine. They gave me another dose of contraction medicine and some medicine for pain. They examined me and said I was now dilated at a four and to watch for the loss of my mucus plug. Within ten minutes of my last dose of medicine I started going into full labor! I called my husband and told him to get back quickly because things were happening! The contractions were coming every minute now and I was in horrible Labor pain. I was not aware it would hurt as bad as a full term baby....but I was wrong!! I called the nurse in and I started crying. I couldn't take the pain any longer! I asked if I was allowed an epidural with this procedure and she said yes. She then asked if I would like to wait and I replied, "no I think I need one now!" The nurse hooked up a new bag of IV fluids and said I needed to get a bag in me for the epidural then she would call and order it. As the fluids pumped into my veins at lightning speed I instantly had to pee. I thought I better get up and use the restroom before the anesthesiologist came in and I was no longer allowed out of bed. Inside the restroom I lost the mucus plug and all I could think was I needed that epidural and I needed it fast! The next contraction they told me to go ahead and push. The contraction came and I couldn't get myself to push. I didn't want to see my baby's limp body. My baby I dreamed about and pictured in my head day after day crawling around and playing with his siblings. I knew as soon as he was out, this was the end. I would no longer be pregnant. I would no longer be a mommy-to-be. I would no longer have my baby. As soon as I push this baby is going to be whisked away and I am going to be left with burial arrangements. It was not fair! The next contraction came and it became obvious it was coming whether I pushed or not. I could not stop this situation I was in. I was no longer in control of my own fate. I was no longer able to make everything OK for my family. It was time to deliver. I pushed and felt the head escape my body. I cupped my hands over my eyes as if I were a frightened young child. I hear them say "push a little more" and then I feel the rest of my angel escape my body. There was no cry... I kept my eyes covered. I was afraid to look. I listened carefully at the sounds going around the room. I heard the nurses feet walk across to the little bassinet they rolled in just a few minutes earlier. It was safe to look, my eyes scanned the room. There was no happiness, the nurse carefully wrapped the baby in a small robe and blanket then asked if I would like to see him. I responded,"yes." She walked over and everything was in slow motion. she reached my bed and lowered my baby down to me. There he was! He was lifeless. He was not fully developed being only 20 weeks. It is an image that will forever haunt my brain and an ache that will forever be in my heart. He was no longer with us, but he was beautiful! I was instantly in love and saddened by his appearance. I just wanted to make him better! ***Disclosure: I received the product samples to share and use as I see fit. No Monetary compensation has taken place and any opinions expressed by me are honest and reflect my actual experience. I don't know about you, but every time I have found out I was expecting the first thing I would do is track the progress of my growing baby. I have every pregnancy countdown book known to man! I guess it's a fantastic way to grow the bond between you and baby from the very beginning! From their first heartbeat, to their growing fingernails, to their first swallow of amniotic fluid, to the delivery. I was recently given some books to review by author, Julie B. Carr with Motherly Way Enterprises Inc. The first book I want to tell you about Is, Countdown to My Birth. This daily pregnancy flipbook is perfect for any new mom-to-be. The book is a compact size that will fit perfectly on anyone's desk or small table. The book stands upright and you flip one page a day to find out exciting developmental facts! There are over 270 engaging facts all written entirely from the baby's point of view. This book is absolutely adorable, yet very informative! I wish I had this book with all my pregnancies, it is definitely my new favorite!! The book is made with strong pages that you can write and personalize with your own due dates. The book has 286 pages with a SRP of only $14.95!! I definitely recommend this book to all new moms-to-be! With my last pregnancy I was not the only one keeping track of the baby's progress. I had another big fan who was too excited to be a big brother! every morning we would read together the baby's progress report. While grocery shopping he was always looking over the fruit to try and compare the size of the baby. 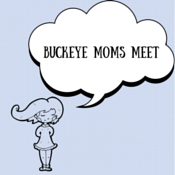 Julie B. Carr also wrote a book called, Making Me: The Pregnancy Activity Book for My Big Brother or Sister. This hardcover book is specifically designed to educate, excite, and involve the big brother or sister, ages 5-10 in mom's new pregnancy. This book is full of age appropriate information and activities and allows the big brother or sister to bond with the new baby-to-be from the start. The book includes four colored pencils and a measuring tape to track the unborn baby's growth. This book is also written in the baby's voice to their older sibling. With 286 pages with an SRP of $24.95 this price can't be beat! This book will not disappoint and is such a fun way for your other children to stay excited and involved in your entire pregnancy! If you are a mommy-to-be or know someone close to you who is, I highly recommend checking these books out! Julie B. Carr did an awesome job presenting all the facts of the developing baby in a fun interactive way! I will be giving away a set of these two awesome books to one lucky winner! You do not want to miss out, so enter today!! good luck! I awoke in the morning at around 5 A.M. I made my cup of coffee and headed out to the front porch to enjoy the rising sun. I was excited, I had been waiting for this day for almost two weeks when I made the appointment. It was finally here! It was the day I get to see my baby on Ultrasound to confirm he was actually a boy and take some simple measurements. When I made the appointment around two weeks prior the doctor told me it was going to be fun! She recommended I bring the kids and my husband to see the baby, because this ultrasound was a fun one! At this appointment two weeks prior I had my kids with me and they got to hear the babies heartbeat on the little machine and they could hardly wait to see pictures of him at the next appointment. So as I had mentioned I sat on the front porch drank my cup of coffee, wrote some on my blog, I put my tablet down to go inside for my shower. Time stood still after those words. I just heard his heartbeat less than two weeks prior. I didn't understand! Maybe she was wrong?? How do I react? So many things were rushing through my head. The nurse continued to look around for cysts and took some measurements. I finally came to and asked, "do you know how long?" She looked at her measurements and said it had been for about a week from what they could guess. She stood up and walked out of the room to call my doctor. I looked over at my husband, who looked in disbelief. Then I scanned my eyes around the room at my other children whom I then realized did not know what was going on. With a shaky voice I quietly say to them, "OUR BABY IS IN HEAVEN NOW". By this time another technician came in to confirm the findings and offer his condolences and send us on our way. They told us wait in the waiting room until we hear from your doctor on what he wants you to do next. We were back in the waiting room, less happy this time, not joking with one another, but now trying to be one another's support. The room was full of pregnant ladies and babies excited about their appointments and my family was crying. We finally are told my doctor was in surgery. "Go home and wait for his phone call and he will instruct you on what to do next." I was scared to death! I was sickened by the fact I now had something dead inside of me and I wanted it out! It was no longer my baby I loved, for he was already in heaven....But his body. I was worried to go home. I did not want it coming out at home, I couldn't deal with that! I was worried to go to the bathroom. I just kept saying, "What now?" How is this 10 inch baby going to get out? I had absolutely no clue what was about to happen next! We returned home and I literally sat there with my entire body clinched! I was so worried the baby's body was going to fall out! I don't know how long I was home, it could have been five minutes or two hours. I was numb! I was scared. I sat with my phone in my hand and waited. The doctors office finally called and told me I needed to go in right away! I told them, I could be there in fifteen minutes. I hugged my husband tight and kissed him and said, "you stay here with the kids and I will call you later to tell you what is going to happen next!" I got in my car and rushed to the doctors office, crying the whole drive...hysterically! The doctor entered the room, she was almost in tears. She gave me a hug and asked, "what did they say!?" I said, "no heartbeat"... The Doctor goes on to say, what happens now is you go straight to Labor and Delivery! The baby is big enough now that you will have to deliver! She said she was very sorry and she will call and let them know you are on your way! I was scared to death! I drove myself to the hospital parked my car in the shade of a tree and walked myself to the elevators. The doors of the elevator opened, I stepped inside. Second floor labor and delivery, I pushed the button. The next time the elevator doors opened, I would be brought into a room where my life will be forever changed. I walked up to the check in counter. I felt silly. They looked me over as I walked up, as if they were thinking (she's way too small to be in labor, what does this girl want?). "Can we help you?" I respond, "my doctor called and said I was coming." "Your name please..." "Ronda Ogilvie". Again the room got somber..."our condolences." "Sit in triage and we will get your room ready." I sat and I sat and I thought about how my day had unfolded. I watched mommies-to-be walk around and around in circles trying to further along their labor. I saw women waiting and crying in pain with fear on their faces of their upcoming delivery. I watched a young lady and her baby discharging with balloons and flowers and baby bags. People walked by, nurses walked by. I watched baby bassinets roll by and scales. The walls littered with breast feeding and new mommy tips. I sat there and just wondered, why?? Why me? Why now? What did I do? What will I do now? How are my husband and kids doing? What did we do to deserve this? We are a family who wanted this baby! I ate right! I did not smoke or drink or eat raw fish! I exercised, I took my prenatal vitamins, and made every doctors appointment. Why are we being punished?? We live a state away from any family. I did not want my kids to see what was about to happen in the delivery room. I wasn't even sure I wanted to see what I was about to be exposed to. I called my husband and told him my room number and see if he could get his mom to drive out to be with the kids. He was worried and didn't want me alone. I told him that the doctors had told me it may take a few days and to please not worry. He called his mom and she agreed to drive out first thing in the morning to be with our other children. The nurses came back and started me on medication to start contractions. They offered me pain medicine, medicine to help me sleep, and anti nausea medicine. I agreed to all of it because my brain was on overload and I needed some rest for my upcoming labor. One by one medicine was pumped into my IV and in about five minutes...lights out! So to answer the question, Are you superstitious? I don't think so...OK maybe a little! We all know Friday the 13th is considered unlucky in the western superstitions, but why? Friday has been considered an unlucky day at least since the 14th century's The Canterbury Tales. Many other professions have said Friday was an Unlucky day to undertake journeys or begin new projects. Christians notice Friday as unlucky because, It was Friday Jesus was crucified, ever since the day has been associated with bad Oman. In the medieval times Friday was "Hangman's Day"
As for the number 13? Seating thirteen people at a table was seen as bad luck as Judas Iscariot, the disciple who betrayed Jesus is said to have been the 13th guest at the last supper. The longest period of time that can occur without a Friday the 13th is fourteen months. Now that we know a little about me, my superstitions, and Friday the 13th, are you superstitious? What are your thoughts on Friday the 13th? Have a safe day, and don't answer the door to anyone wearing a hockey mask! Parenting is easy until you have kids! Have you ever found something that you are good at? Something you are knowledgeable about and are able to give good advice to others? Something that you were born with and seems to just run in your veins? I always felt this way about parenting and caring for children. I have always been good with kids, and kids LOVE me! I grew up in a two bedroom home with a family of eleven! My parents fostered and adopted six children, so growing up as the second oldest I got a lot of experience! I was the big sister, the baby sitter, the lunch maker and food chopper. I helped change diapers, bathe the babies, and was often volunteered as the caretaker at the foster meetings my mom would attend. As soon as I was old enough I landed my first babysitting job at a family friends house once a week for money! Later after I moved out of my parents house I got a job at a children's play place and hosted birthday parties. Although the birthday hosting was fun, I needed more of a career path! I got a job at a preschool and started going to college and taking child development classes. I soon became a lead teacher and received the first teacher of the month award given out at the school! I held conferences, warned parents of disabilities and delays, offered advice and support when it came to discipline, potty training, and bedtime routines! I was a know it all big shot! My husband and I became pregnant with our first child while I worked at the preschool! After almost seven years of teaching I decided I was going to be a stay at home mom when my daughter was born. 81/2 months pregnant I left the preschool with a heavy heart and embarked on my motherhood journey! I was in labor for 28 hours, pushed for and hour and a half and out came my daughter! It took all of about two minutes for me to realize I knew nothing about parenting!! My first night in the hospital I cried! It was then I realized kids don't come with an instruction manual, college does not prepare you for being a mom. My heart that just grew two sizes bigger that day in the delivery room was overshadowing any advice anyone could give me or anything I had learned in the books! Three children later and expecting again, I have learned each child is different! As a parent your heart gets involved almost to a fault! You need to take it day by day! With my first child I was so concerned with the benchmark milestones. You know the ones, (sitting up, crawling, walking, eating solids, potty training. Ect.) as parents we need to stop making milestones a competition. Is your baby walking yet? Is your baby talking yet? How many words? Can your baby read? Mine can! My baby knows French and sign language! My best advice I can give now...It's not a competition! Each child is different and will learn in their own time! My first did not crawl! She started walking late. She didn't know how to read until kindergarten. 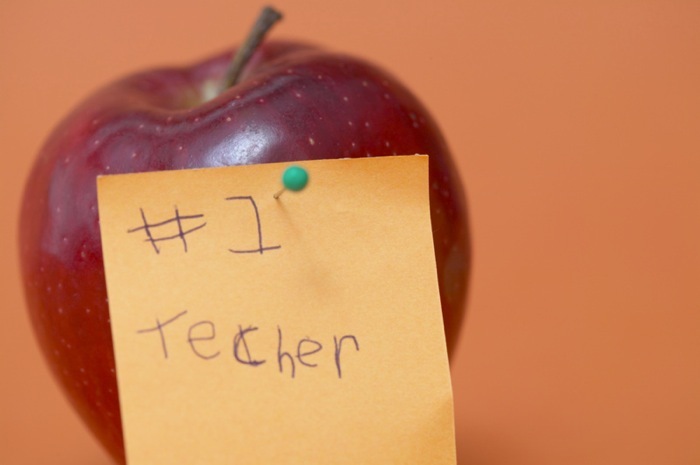 As a preschool teacher and later a home daycare provider, I was a master potty trainer! I swore up and down to the frantic parents I worked for that their baby would be potty trained in ten days or less if they just stuck with the guidelines I was about to share. Most of the time they were! My second child came along and could you believe she wanted nothing to do with that potty chair! It took her a year and a half to be completely potty trained! As a teacher and daycare provider I also had a no lovey or pacifier until nap time rule. The children I cared for had no problem with this because it was their routine. When they were at school it went in their cubby and came out a nap time. My second child had a lovey she carried everywhere! She still sleeps with it! My son was a pacifier baby who had to have both hands full of pacifiers and one in his mouth! None of my advice I had given over the years to other parents did I listen to myself! Because parenting is easy until you have kids! Get Your Family Back Outdoors with Children's Claritin! Every year when the weather starts to warm up, our bucket list of outdoor activities grows! My family LOVES the outdoors! Something my family doesn't LOVE is allergies! My children all suffer from allergies in different ways. My oldest gets nose bleeds that will not stop. My middle child gets runny nose, sneezing, dark eyes, and asthma. We are lucky if we get through a year without finding ourselves in Urgent Care breathing in a nebulizer! My youngest child becomes a mucus factory and goes through boxes and boxes of tissues often making a great wall of tissue within hours of emptying the trash! The only thing we have found to help get our children relief is Children's Claritin! I do not go anywhere without it! The great thing about Children's Claritin is you only need to take one every 24 hours. One tablet provides all day relief during the crazy allergy seasons! My kids don't mind taking them because of their great flavor and actually think they are pretty yummy! Since my family has started using Children's Claritin we have not made any trips to Urgent care and we are able to get back outside and do the things we love! You can Imagine the excitement I felt when I was accepted to be a part of Children's Claritin Mom Crew! Children's Claritin believes in the benefits of outdoor activity for children and encourages fun innovative outdoor play spaces for your child! My family also believes in the value of some good old vitamin sunshine! One Claritin in the morning and we are finding great ways to get outside (even during allergy season)!! We are so happy to be back outside without feeling like our head is in the mouth of a T-rex! If your child suffers from seasonal allergies and is stuck on the couch, get them back outside with Children's Claritin! My family recommends it! *As a member of the Children's Claritin mom Crew, I receive product samples and promotional items to share and use as I see fit. No Monetary compensation has taken place and any opinions expressed by me are honest and reflect my actual experience. Living in Arizona the sun, wind, and overall dryness of the environment wrecks havoc on the skin and hair! I am not sure there is a season that in one way or another does not affect your skin and hair. Whether it is dry skin, cracked cuticles, static and dry hair, Arizona living is not your best friend! I was recently given the opportunity to try 100% Pure from Morocco ARGAN OIL. Receiving my Argan oil in the mail could not have come at a better time! Summer is here (well technically it is still spring) and the sun is HOT! I am an outdoors person and love being out as much as I possibly can. The sun and heat though can be really rough on the skin and hair! 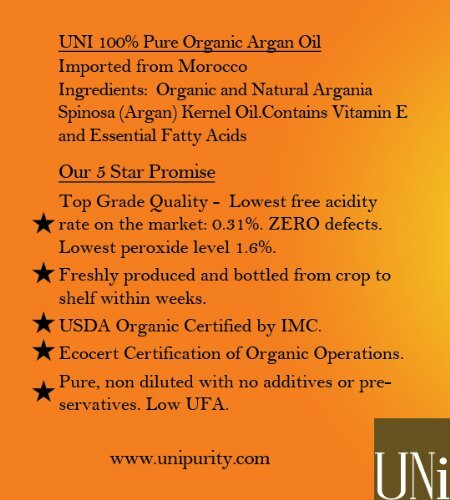 UNi 100% Organic Pure Moroccan Argan Oil, TRIPLE Extra Virgin Grade, FAST ABSORBING, Certified Organic - for Hair and Skin Care Treatment - 4oz (120ml) / 2oz(60ml) - Cold Pressed EcoCert and USDA Approved Oil. Treat Dry Scalp, Nails, Cuticles. Excellent Daily Moisturizer. Guarantee Satisfaction. Results within Days. Upon receiving the oil I immediately opened up the bottle and applied some to my hands. I massaged it into my cuticles and immediately was impressed with it! The oil has a mild nutty scent. After applying on my hands and seeing how well it absorbed in my skin I added some to my sun spots and fine lines on my face. The Argan Oil absorbed well and left my skin feeling hydrated. UNi Argan Oil is excellent treatment for the skin. It boosts skin tone and complexion through intense hydration. Helps reduce fine lines and wrinkles, scars, sunburns, stretch marks, and rashes. Thanks to being a mom of four I could use like five gallons of this stuff, thankfully a small amount goes a long way! Later in the evening I took a shower and applied a small amount to my hair when I got out. My hair is usually quite frizzy and dry (Arizona weather again)! My hair once dry was hydrated and no frizz to be found! 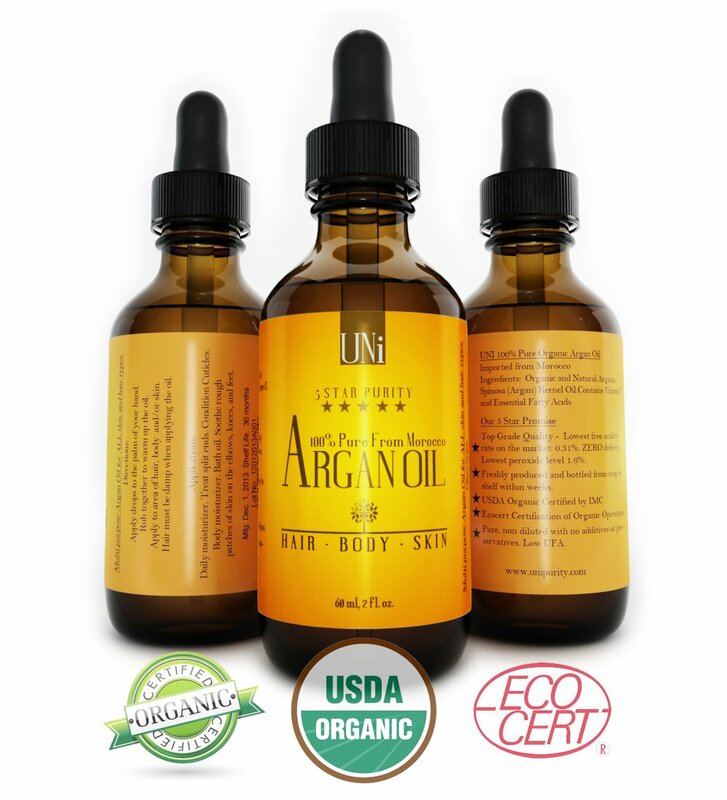 The UNi Argan Oil is a great NATURAL hair treatment for damaged, dry, frizzy hair, and dry scalp. The oil brings back the natural glow of your hair and promotes healthy hair growth! This oil is 100% pure non diluted, Imported from Morocco. The ingredients are Organic and all natural, so you don't need to worry about putting some harmful chemicals on your skin. I recommend you give it a try, you will see results in days! Have a wonderful summer and stay hydrated! This was not a paid post. Honest and original opinions were used and are my own. Thank you to Mommy's Bliss who supplied the product for review! Moms and dads alike prepare themselves for nine months for the arrival of their new bundle of joy! The excitement and anticipation is the biggest lesson in patience I myself have ever endured! Nine months or 40 weeks if you go by weeks seems like an eternity, yet still you find yourself rushing out at the last minute for the last items of necessity! When the new baby gets here the Nursery will be completed and decorated, the new tiny little outfits will be washed in extra gentle detergent awaiting to touch new skin. You will have car seats, strollers, diapers, wipes, formula, bottles ,ect. ect all prepared and waiting. The day finally comes and you finally get to meet this new little bundle that has been safe inside the womb growing and developing to make it's debut. It's then you realize, you are not prepared!!! You see as much as you think you have it together, you have always been a good planner and preparer, there is nothing that proves you wrong as much as a new born!! One thing I have found with every one of my children is you can never be prepared for those sleepless nights of caring for a newborn! They come out of the womb with the idea that everyone stays up all night! As much as you would love to stay up all night and just stare at the most awesome creation you have ever made, the truth is you as a parent need some sleep! We cannot survive on pure love alone!! One thing that can help your baby is setting up a night time routine! A great way to do this is with Mommy's Bliss Sweet Slumber products! Mommy's Bliss sweet slumber products are formulated with a unique blend of natural botanicals that encourage sleep and promote relaxation! An established bedtime routine is clinically proven to help baby fall asleep and stay asleep longer, which means mom and dad get to stay asleep longer too! Yay everyone wins! The sweet slumber routine is simple, intuitive, and effective. Not only that is smells good too! The Mommy's Bliss sweet slumber routine consists of three steps. Step One: Sweet Slumber Baby Wash. Begin with a warm soothing bath with the relaxing extracts of lavender, chamomile, and ylang ylang. Sweet Slumber Baby Wash contains no drying alcohols and won't irritate sensitive skin. Gentle enough for daily use. Step Two: Sweet Slumber Massage Cream. A gentle calming massage with the relaxing extracts of organic botanicals will help baby fall asleep and stay asleep. Sweet slumber massage cream is naturally nourishing for baby's delicate skin. It is non-greasy and absorbs quickly! Apply the massage cream to the hands and gently massage baby in circular motions. Starting the massage process on the baby's legs will familiarize them with the relaxing sensation. Step Three: Sweet Slumber Mist. Create a calm environment by misting baby's pajamas and bedding with the relaxing extracts of Lavender, chamomile, and Ylang Ylang. Spray a light mist at least 12" away, this will provide a relaxing scent without making baby's bed damp. I recommend The Mommy's Bliss sweet slumber products for all new parents! Once you get a routine established with your baby, Not only will you be happier so will your baby!